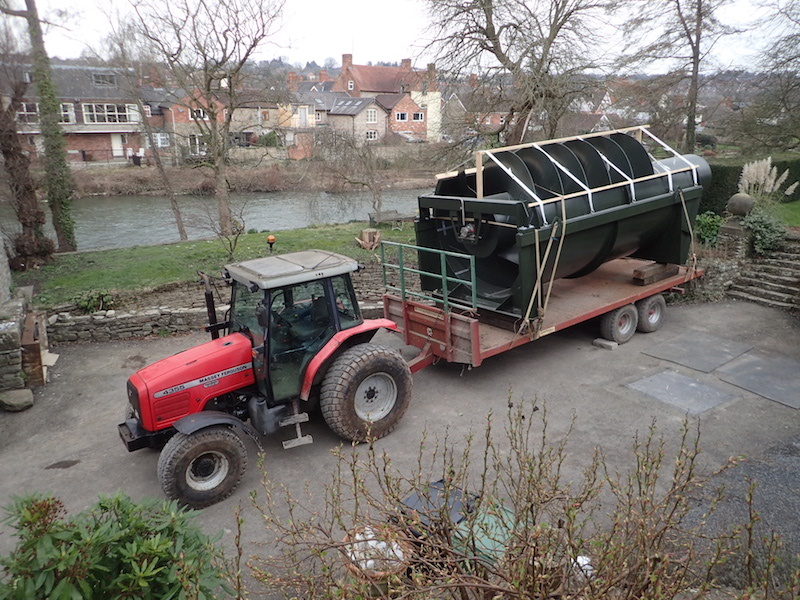 When we first launched the Ludlow Hydro Co-Operative website in 2013, it was designed to promote the launch of the Co-Operative and to share news about the group’s plans to generate hydro-electricity from the Horseshoe Weir at Ludlow. Phase 1 – Apply basic updates immediately to bring the site up-to-date. Phase 2 – Apply ad hoc ‘Business As Usual’ updates throughout the year. Phase 3 – Apply more ambitious updates once more detailed feasibility work has been conducted. Following the Co-Operative’s AGM last month (26/03/2019), we are happy to report that Phase 1 is now underway. Please bear with us, as we apply further updates over the coming months and don’t forget to revisit the website from time to time, to check for changes. 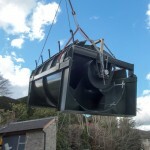 In the meantime, many thanks for your continued interest and, for supporting the work of the Ludlow Hydro Co-Operative. At the August meeting of the Directors, the board approved the proposal to move the next AGM earlier in the year to 28th March 2018. On the 29th of June 2017, The 3rd AGM was held at the Charlton Arms and the meeting approved the 2016 accounts. Board elections were held and the board remains the same as last year. 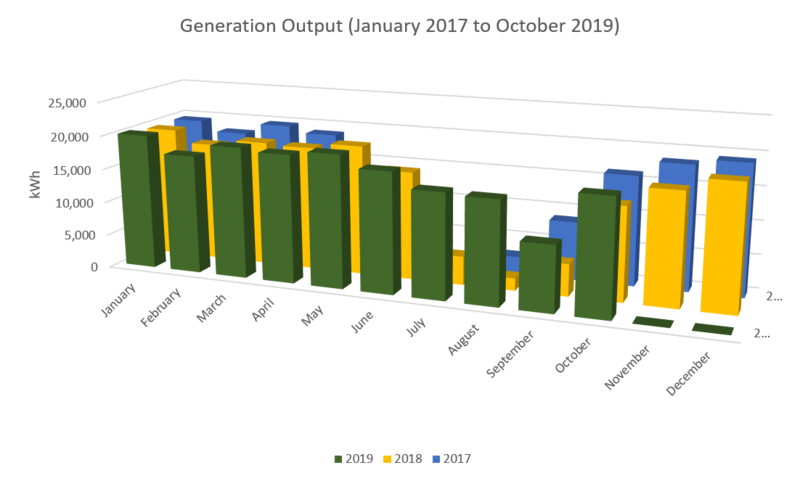 The turbine has been running well since being turned on in the spring – latest meter reading is 69,675 generated between commissioning and 30th September, a capacity factor of about 67% which is excellent considering that this corresponds to mainly the summer low water time of year. 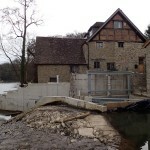 The civil engineering work started on the hydro turbine in the second week in August and the schedule was that by the second week in October the main enclosure walls would be complete, with stop logs top and bottom, which would allow us to remove the temporary cofferdam and retreat out of the river itself. 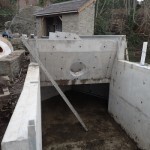 This work proceeded smoothly, with an slippage of about a week, but we are on course to withdraw from the river and remove the cofferdam imminently. 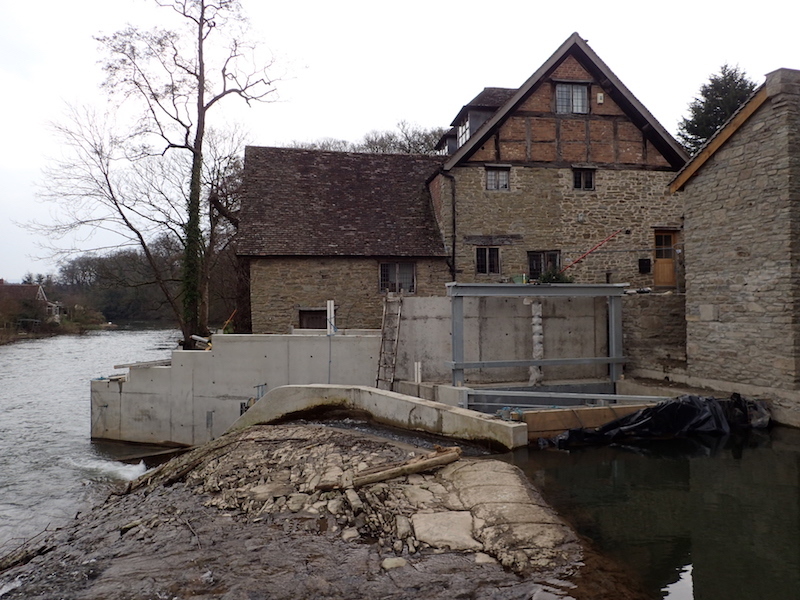 Once this is done, we can continue to work on the detail within the enclosure protected by the stop logs, and the weir will be returned to normal operation. 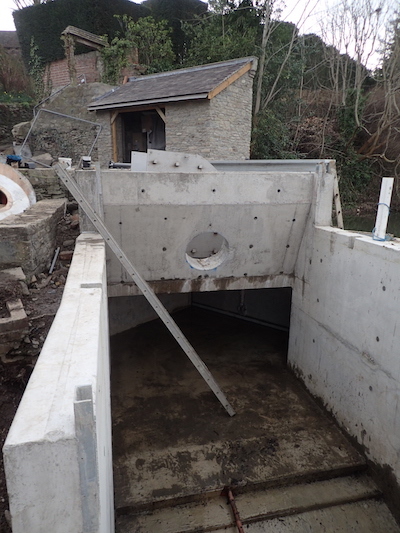 Over the next few months( between now and January) we will be working on the more detailed work (building an enclosure for the electrical control gear, putting in place steel work in the form of sluice gates, screens and walkways, laying electrical cables and hydraulic lines, ready for the turbine to be delivered and put in place probably in January. We’re delighted to say that today the Ludlow Hydro share offer reached its target – thank you to all our subscribers, members and soon-to be members! 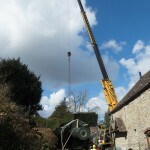 There is now only just over £20,000 left to raise in shares for the hydro turbine, and the decision has been made to go ahead with construction and raise the final £20,000 while work progresses. 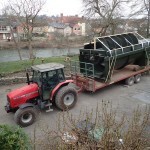 This is important because our licence from the Environment Agency only allows us to carry out construction work in the river in the months of July/ August and September so a delay at this stage could postpone the project for a full year. We have been engaged in detailed discussions with our preferred contractor over the past month and are now very close to having a fully specified contract ready for signing, with a view to starting construction on 1st August. Our planning application includes conditions that we refresh our ecology survey, and that we put in place a plan to maintain a watching Archaeological brief. 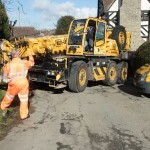 These need to be submitted to the local authority at least 21 days before work begins on site so we have commissioned these so that we have the sufficient notice to make a start at the beginning of August. Minute discussions are still ongoing in respect to the small print on the project leases, and we are expecting to sign both the leases and the construction contracts at the same time. We hope to be able to issue a big announcement in the very near future – please watch this space.